Van Halen will tour North America this summer and fall in support of their upcoming concert album, Tokyo Dome Live in Concert. They will play Jones Beach on Aug 13 & 15! 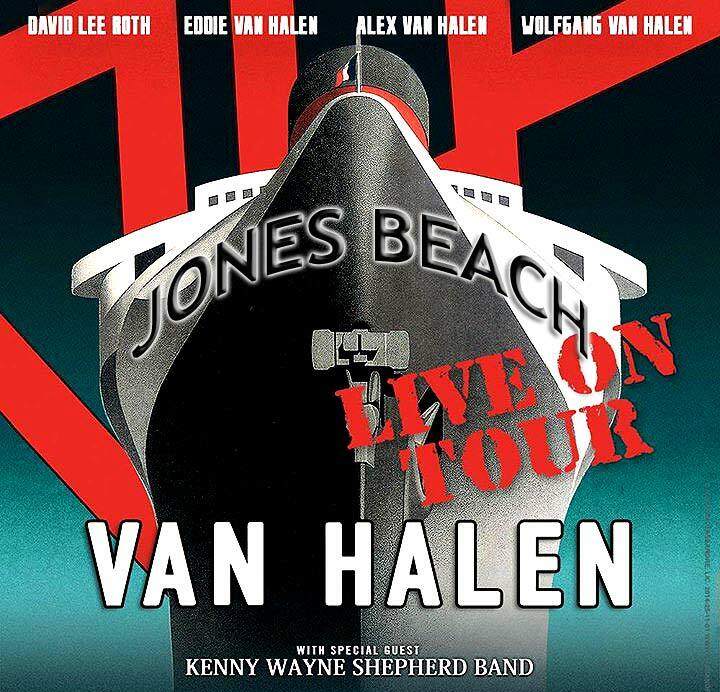 David Lee Roth – who sang on the band’s most recent studio LP, 2012′s A Different Kind of Truth – will be on board for the tour, which will include the Kenny Wayne Shepherd Band as the opening act on all dates. The upcoming live set — the group’s first with Roth — includes 23 songs from the seven albums the band recorded with its original singer. The album documents a show recorded on June 21, 2013, in Tokyo.